Friends & Family Event from U.S. Brooks Brothers has already started. Do you know it? You can save an additional 25% on your entire purchase! 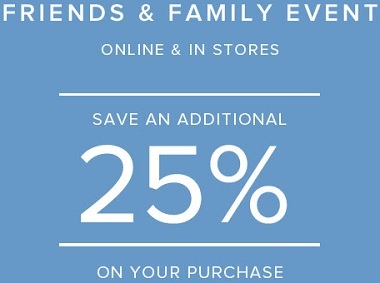 Offer is valid at U.S. Brooks Brothers reatil stores and Brooks Brothers online. Source of the information is Brooks Brothers. Offer expires on Sunday, May 8, 2016. For more details see your nearst store location or official website.